http://www.opieoils.co.uk ...... με αρκετά μεγάλη έκπτωση. ο googlis, με έφερε εκεί ... μιας και έψαχνα μπουζί denso iridium ΙΤ20/VΤ20 και φίλτρα Κ&Ν. Φοβερός! Το λιγότερο που μπορώ να πω είναι ΜΠΡΑΒΟ!!!!!!!!!! Thanks for your club application and may we welcome you to the Opie Oils Club Discount scheme! I'm happy to confirm that we've added Volvoclub.gr to our list of supported clubs. Could I please ask you to let any other people involved in the running of the club know that we're "on board"? We do hope that your members will benefit from our association. We have an unrivalled choice of oils and fluids and are happy to pass on the benefit of our of our "oil expertise"! Our prices are competitive and your members can now get discounts of at least 10% off our usual prices. Whilst many people order online via our web site - www.opieoils.co.uk - it may be that your members prefer to telephone for advice and to place an order. Your members are welcome to call us for advice or recommendations on any oil or fluid and we'll give the club discount prices on any orders. We're here Monday - Friday 8:30am to 5:30pm - 01209 215164, option 2 . Once registered on our web site and logged in as a member of your club, the prices shown include members discounts with the normal public price crossed through for information. All prices shown include VAT. http://www.opieoils.co.uk/images/media/ ... orange.gif is a popular banner and http://www.opieoils.co.uk/images/media/ ... 179x80.jpg is a version of our logo suitable for web sites and email use. "As an additional benefit to members, we've joined the club discount scheme at Opie Oils, earning you 10% off all products, available online on their web site at www.opieoils.co.uk and for phone orders too. Opie Oils are the UK's leading independent online oil and lubricants retailer, offering a really extensive range of oils, lubricants and automotive fluids from 9 major oil manufacturers at prices lower than the high street and main dealers, backed up with free oil advice and recommendations. Brands include Silkolene, Fuchs, Millers Oils, Gulf, Castrol, Motul, Mobil, Amsoil and Redline. The range includes oils and fluids that meet pretty much all manufacturers and international specifications, with delivery throughout the UK via courier. If you send out printed newsletters, we'd be very happy to send on some A5 flyers for you to include at some point - please let me know if you need any. Finally, if you have any questions or ideas on how we can best serve your members, please do get in touch. If you've received this email by mistake, we're sorry for bothering you. It may contain information that's confidential, so please delete it without sharing it. And if you let us know, we can try to stop it from happening again. Thank you. Buy 5 litres of Fuchs Titan XTR 5W-30 or 10W-40 at Opie Oils and receive a 1 litre top-up bottle for FREE. - No voucher codes can be used with our Fuchs offer. 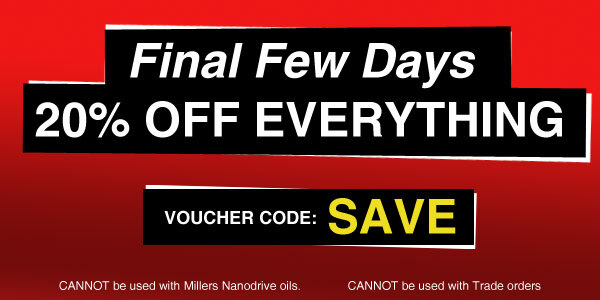 At Opie Oils we've discounted absolutely everything for our Bank Holiday Blowout! With discounts of 35% and at least 20%, there are bargains to be had across the store. Car oils, bike oils, brake fluid, coolant, filters, spark plugs, maintenance aerosols, wiper blades, waxes, cleaning & detailing products and more. No voucher code needed. As always, our expert advice is free. If you need help you can call us Monday - Friday 8:30am to 5:30pm on 01209 215164 (opt 2), email us at sales@opieoils.co.uk, or just ask here. * The discounts shown above include members discount. Non members' discounts will be up to 5% less than the figures above. * No further discount is available on trade orders. Discounts of 35% and at least 20%, there are bargains to be had across the store. These massive discounts won't be around for much longer, so make sure you take full advantage and visit Opie Oils today! επίσης χτύπησε άσχημα στο μάτι ότι ενώ την πρώτη προσφορά την πήρα ως τυχαίος πελάτης και τη δεύτερη ως μέλος συνεργαζόμενου κλαμπ.. μου επέστρεψε την ίδια τιμή.. ενδεικτικά μου έδινε ως αρχική τιμή της συσκευασίας του 1LT τις 19GBP (24€)!!! παρακαλώ αν μπει κανείς στον κόπο να πάρει προσφορά από το εν λόγω μαγαζί να μας μεταφέρει τις εντυπώσεις του. 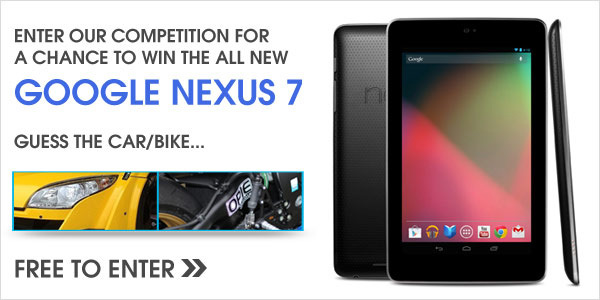 Pay us a visit and enter our competition to win the new Google Nexus 7 tablet! As always, our expert advice is free. If you need help you can call on 01209 215164 (Option 2), email us at sales@opieoils.co.uk, or just ask here. Huge Savings On Gulf Competition, winter Products and more..
20% OFF ALL Shell Oils, Trico Wiper Blades and K&N Filters. Don't forget you can combine our free shipping offer with our other current offers. As always, If you have any questions or need any advice then you can call us Monday - Friday 8.30am to 5.30pm on 01209 215164 (Option 2) or alternatively email us at sales@opieoils.co.uk. 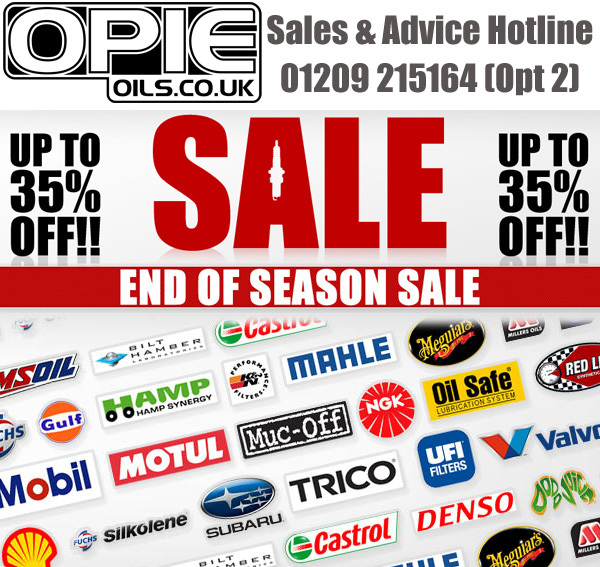 The Opie Oils End of Season Sale has now finished, HOWEVER don't worry as we've replaced it with some NEW top offers!. . . . .
For starters we have a big offer on the ever popular Fuchs Titan Race Pro-S / R (formally Silkolene Pro-S / R) Engine oils. We've also got 30% OFF RRP all our Castrol EDGE engine oils, this makes 4L only £33.99 and 1L £9.99. As we discounted the EDGE range, we thought we would also discount our Magnatec engine oils by taking 20% OFF the RRP! With this additional discount, you can now buy 1L for only £7.99 and 4L for £24.99! Fancy a FREE 1L and handy boot pouch ????? Fancy stocking up? You can order any number of 5 litre bottles to get the same number of 1 litre bottles and pouches free, for example, if you buy 4 x 5 litres you will receive 4 x 1 litres and 4 pouches free (each pouch will have a disposable oil top up kit inside which contains gloves, funnel and wipes). 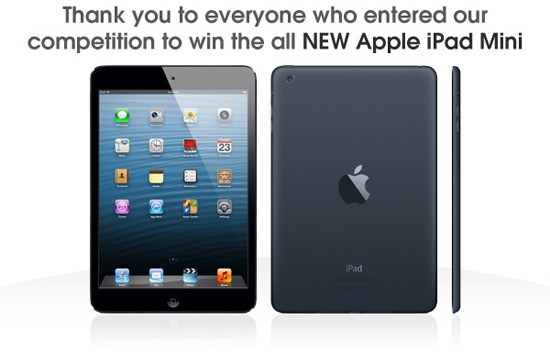 The winner of ALL NEW Apple iPad Mini is Simon Burn, a member of Type-R-Owners.co.uk. Our next competition will be in January and from then on we will have a competition once a month!!! - The Opie Oils team would like to say a big thank you to all people that entered and wish you all Merry Christmas and a Happy New Year.